For Electronic Arts, it’s the one that comes around just once a year—albeit with a little more polish, a little more sheen. 2018 is no different, as this week heralds the release of FIFA 19, a visually resplendent soccer simulator that offers one of the richest and most engaging single-player experiences this genre has ever seen. Or so says our glowing review, in which Cody Gravelle showers praise on EA’s robust title and, specifically, The Journey: Champions, which was first drafted into this most prestigious series for FIFA 17. Over the years, the team at EA Sports have iterated and improved upon that core foundation, shipping footballing wonderkid Alex Hunter off to La Liga titans Real Madrid in the process. 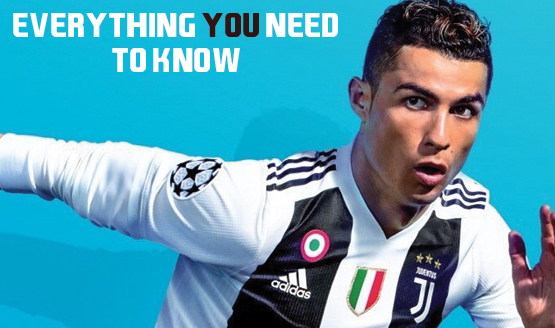 But we’re merely scratching the surface, for down below, you’ll find a detailed overview of FIFA 19 and everything it has to offer—just in time for the game’s hotly anticipated release on Friday, September 28. FIFA 19 officially kicks off on September 28, when EA’s primer soccer series will return to PlayStation 4, Xbox One and PC. A Switch port is also in the works, while the industry mega-publisher refuses to give up on those legacy consoles (see: PS3, Xbox 360), which still prove popular in the world’s emerging markets.